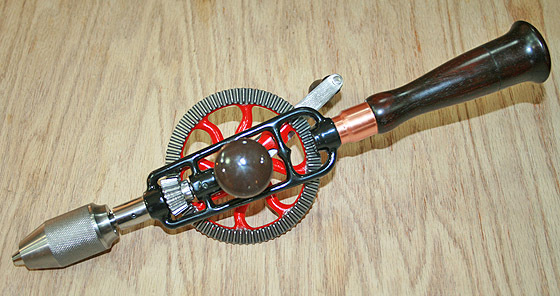 Millers Falls Hand Drill No 2 -1929. 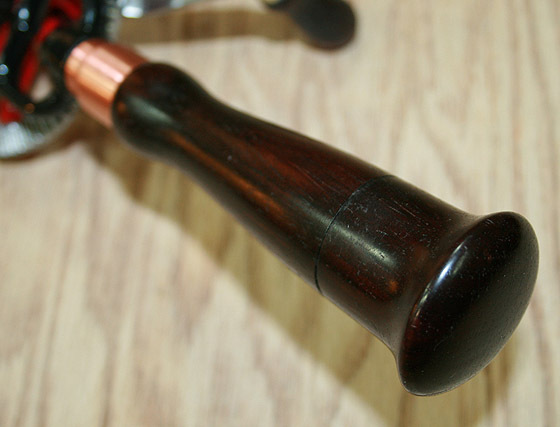 Rosewood Handles! 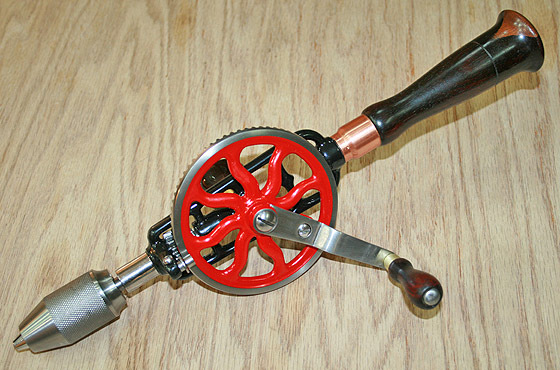 Millers Falls Hand Drill No 2 - 1929 Edition. 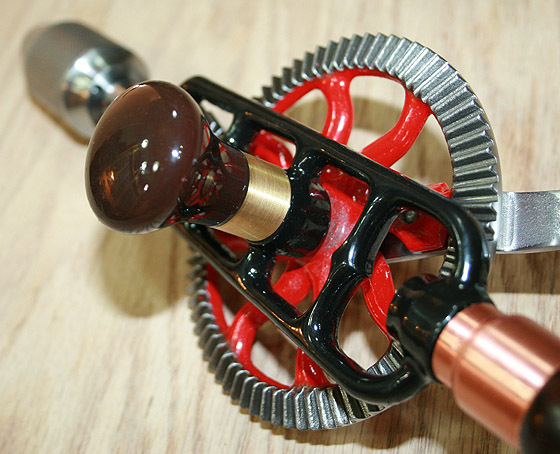 Rosewood handles; malleable iron, black enameled frame; large gear painted red; other metal parts nickeled. 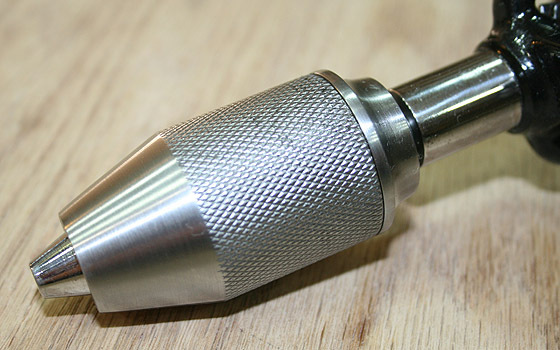 Hollow End Handle, with screw cap, shaped so tool may be used as a breast drill, and spare bits. 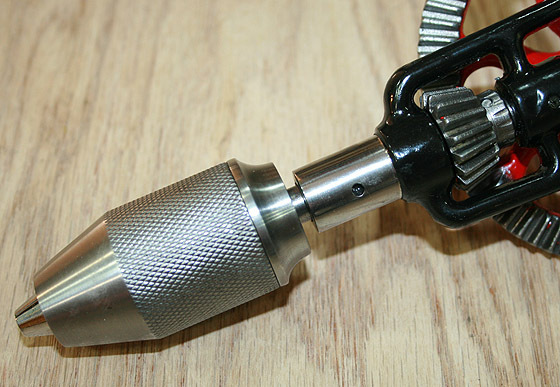 Removable side grip handle. 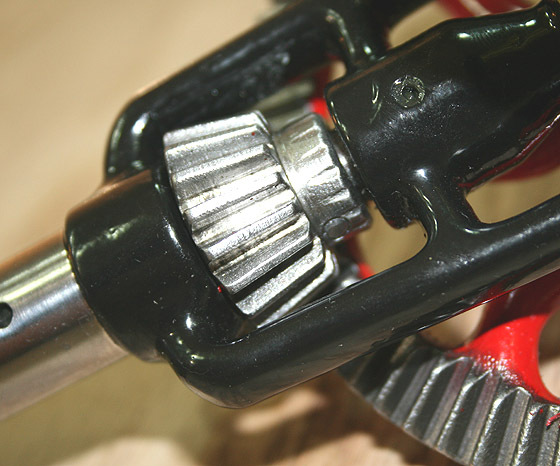 Cut Gears with adjustable friction roll to equalize bearing. Pinion of Steel, Ball Thrust Bearing. Reinforced spindle housing. 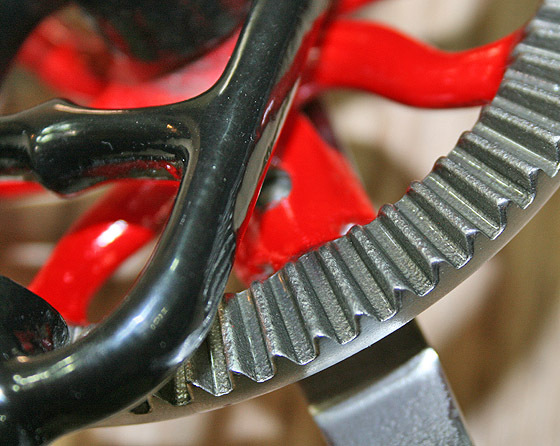 Chuck of Star pattern with 3 jaws opening with springs, which are Protected From Injury and Will Not Get Out of Order, and Closing Evenly on, and Centering Accurately, round shanks from 0 to 3/8 inch in diameter. International buyers will receive separate invoice with S&H cost after purchase is complete. Main frame fully stripped, re-painted and baked. Side handle sanded, treated with BLO and wax. 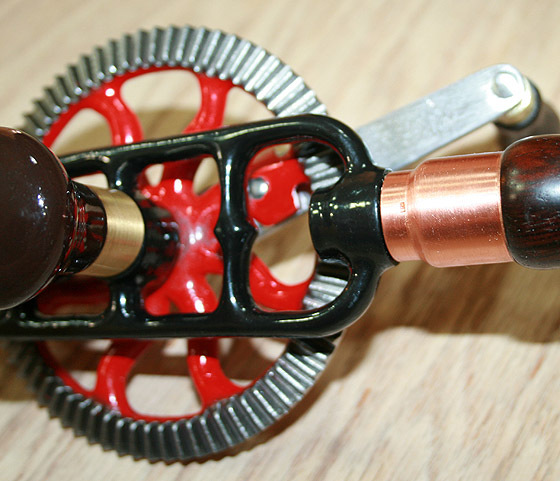 Main and crank handles sanded polished, treated with BLO 50/50 and treated with 3 layers of wax. Carnauba wax for a final coat. Gear tight and very smooth. Chuck disassembled, cleaned inside and out. 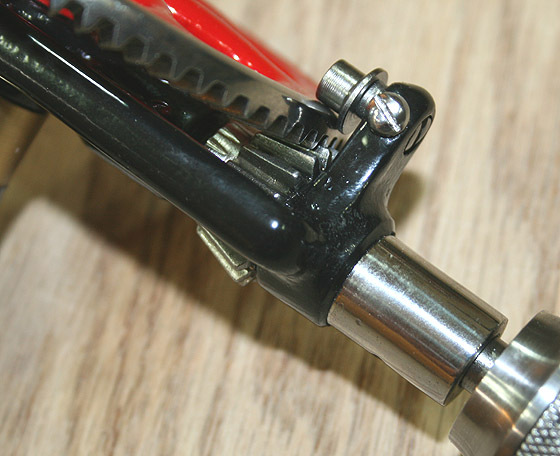 All inside and outside surfaces polished, including jaws – for smooth operation. 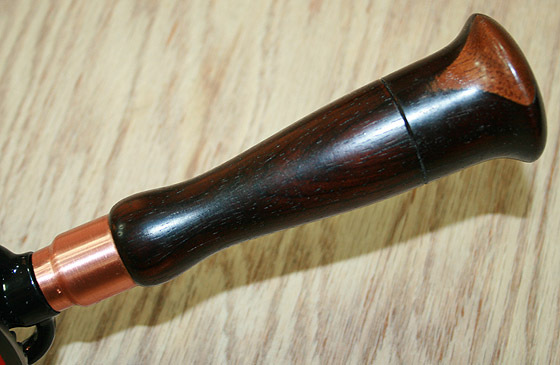 Greased, oiled, tuned and checked. 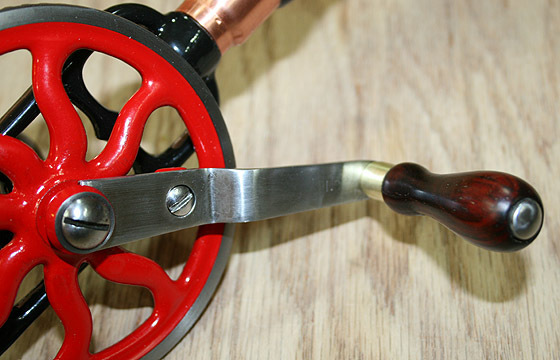 Copyright © 2018 wkTools.com & wkFineTools.com. All Rights Reserved.